What is Plastering. 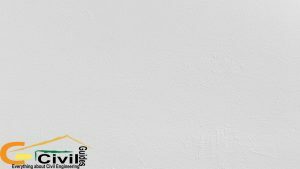 | Define Plaster, Cement Plasters & Gypsum Plaster. 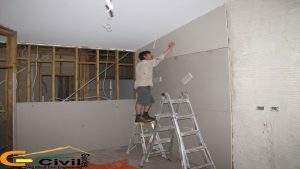 After reading this article, you will be able to Define Plaster and will learn the term Plastering, Cement Plasters & Gypsum Plaster. If you want to know about plastering, first of all, you have to learn the term Plaster. Plaster may be defined as Lean Mortar used mostly for covering masonry surfaces. They are lean mixes of Binding Materials ( Lime or Cement ) with fillers material such as Sand or Crushed stones. And the process of covering surfaces with Plaster is called Plastering. They are specially prepared for two reasons. 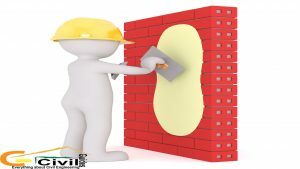 In protective covering, the Plaster saves the Bricks or Stones from Direct Destructive Attacks of Atmosphere such as Wind, Rain and Harmful Industrial Gases. As a decorative finish, Plasters are used to give many appealing shades and finish designs to the construction. These are the homogeneous lean mixture of Portland Cement and sand with water. They have been found suitable for all type of plastering work such as Protective and Decorative Finishes. The most common proportion for Cement Plasters is ( 1:3 ). For external surfaces ( 1:3 ). For internal surfaces ( 1:4 ). However, the ratio of sand can be increased to as much as 8 like ( 1:8 ) depending upon the nature of construction. Cement Plasters are generally applied only in a single coat. It is important that the surface of plasters should be kept wet at least for 3 days after its application. These are that type of plasters in which gypsum is used as a Binding Material instead of Cement or Lime. They have great resistance to fire. They provide comparatively better insulation against heat and sound. They set and harden quickly. They undergo very little expansion and contraction. They are made from natural gypsum rock which is a hydrated sulfate of Calcium. This rock is burnt at suitable temperature of ( 110 centigrade ). At this temperature, most of the water of crystallization is driven off. The resulting product is an Anhydrite, Commonly called Plaster of Paris. Calcination of Gypsum Plasters is done very carefully, because of over-burning and under-burning. The calcined Gypsum is powdered. When it is mixed with water, it forms a paste which begins to set and harden quickly. Following types are commonly used. This Consists of Plaster of Paris and Aggregates (Sand) in a dry-mix form in a Pre-determined proportions. This type of Plasters possesses three times better insulation properties than the ordinary cement or lime plasters. It is prepared by mixing commercial grade of Plaster of Paris with the desired quantity of sand in the dry state. The dry mixture is then reduced to a homogeneous paste with simultaneous addition of water and shuffling with the help of Trowels. It is a high density gypsum plaster that is capable of taking fine polish on its finished surface. Gypsum gauge plasters are made by mixing suitable proportions of Gypsum Plaster with lime putty ( hydrated lime ). They are considered especially useful for providing a hard surface at the base within a short time. It is commonly used for decorative purposes. It is applied on the external surface of construction and gives a Marble like finish to the structure. Cement or Lime is commonly used as a Binding material in this type. They are commonly applied in three coats ( Base, Middle, and Finishing Course ). The Finishing coat is polished with a soft cloth to obtain a brilliant shine. Thus the resulting surface will be strong, protective and quite appealing. Read More: What is Ferrous and Non-Ferrous Metals, Their Definition List and Properties. I didn’t know that plaster could be used as a decorative finish as well as a protective covering. I always thought it was used just for protection. I would love to see some decorative designs with plaster. Thank you for all the information about plaster! I see the ratio you have for the cement/sand mix. What is the ratio of sand to gypsum for interior walls/ceilings on rock lathe? 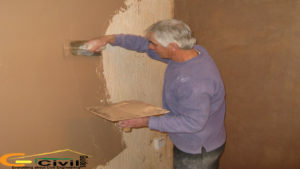 This is an interesting blog explaining what is plastering and which is the best cement for plastering.